Ce document au format PDF 1.3 a été généré par 3B2 Total Publishing System 8.06a/W / Acrobat Distiller 7.0.5 (Windows), et a été envoyé sur fichier-pdf.fr le 28/07/2017 à 23:41, depuis l'adresse IP 105.98.x.x. 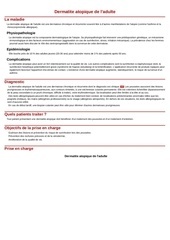 La présente page de téléchargement du fichier a été vue 341 fois. Taille du document: 195 Ko (5 pages). allergens that have remained as top offenders for over the last decade. Phoenix, Arizona, USA) would have revealed 60% of the top 40 allergens (40% failure to detect rate). and avoidance of the offending allergen from the sensitized person’s environment. detection of allergens and implementation of accurate avoidance measures for those sensitized. endogenous dermatitis (e.g., atopic dermatitis). with variation in individual susceptibility. 1040-8703 Copyright ß 2017 Wolters Kluwer Health, Inc. All rights reserved. Copyright © 2017 Wolters Kluwer Health, Inc. Unauthorized reproduction of this article is prohibited. of patch testing is 70 and 80%, respectively. on the ability to both detect and avoid. when used properly for confirmatory diagnosis. are bolded in Table 1.
reduction of exposure interval be made . contact allergens (aka a 52.5% failure to detect rate). by screening with a basic screening kit or series. 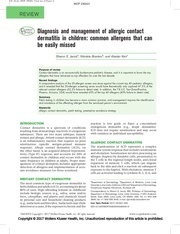 Allergic contact dermatitis in children: allergens missed Jacob et al. current evidence suggests the sensitivity and specificity of patch testing is 70 and 80%, respectively . (e.g., early, delayed, and late delayed presenters). be tested for as warranted by history [7,10]. are organic sunscreen absorbers and topical NSAIDs. space on the skin of the back (Table 2) . 5, and 5%, respectively, if indicated. ketoprofen, unless there is specific indication. have remained undetected by screening with the T.R.U.E. Test are bolded. current Food and Drug Administration advice if doubt exists. suspicion when felt clinically safe and justified . to florid isothiazolinone-based ACD . 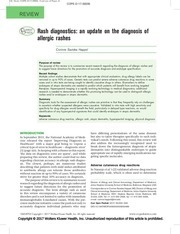 confirmatory diagnosis in a majority of cases. patch testing may present unique challenges [18,19 ]. and has served as a consultant for Johnson &amp; Johnson. Lippincott Williams &amp; Wilkins; 2001.
irritant contact dermatitis. Expert Rev Clin Immunol 2010; 6:291–310. little people. Clin Dermatol 2015; 33:605–612. methodology for Europe. J Eur Acad Dermatol Venereol 2004; 18:679–682. 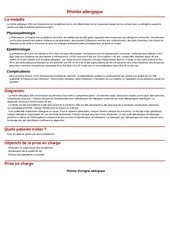 photosensitivity in patients sensitized to methylchloroisothiazolinone/methylisothiazolinone in Belgium and France: a report of nine cases. (Poster P017). Contact Dermatitis 2016; 75 (Suppl 1):60–106. (P.E.A.S.) 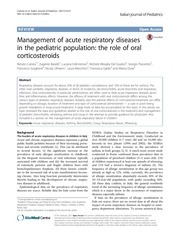 – addressing allergic contact dermatitis in pediatric populations. Expert Rev Clin Immunol 2016; 12:551–561. 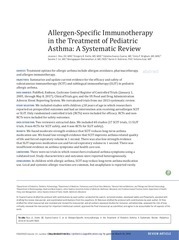 This work outlines the strategy for preemptively avoiding high prevalence allergens. Ce fichier a été mis en ligne par un utilisateur du site. Identifiant unique du document: 00532693.